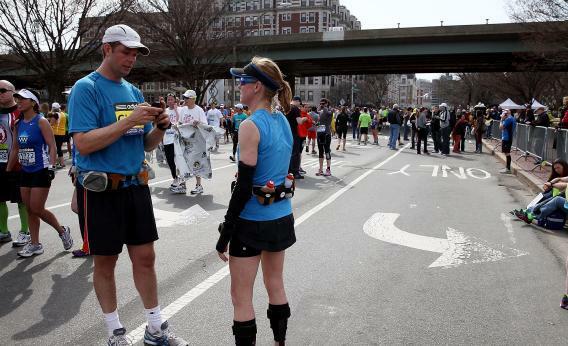 Boston Marathon: In an emergency, will you remember important phone numbers? In an Emergency, Will You Know Your Friends’ and Family’s Phone Numbers? Given our dependence on our phones to do the dialing for us, we’re now totally lost without them. There are technological solutions to this conundrum: If you have an iPhone with iCloud activated, you can access your contacts from any computer (or another smartphone) by going to icloud.com. There’s also the low-tech approach: You can—as one Slate staffer does—carry a laminated card in your wallet with the numbers of immediate family and close friends. And if you want to fight the tides of history and actually embed a series of digits into your brain, there are a bunch of techniques you can use: creating a mnemonic, associating the number with a hummable tune, or replacing someone’s name in your contact list with their phone number, so you have to stare at it every time you dial. There may come a day when you’re glad you did.